Let’s start by creating a blank page with our default HTML 5 markup. The basic markup below will contain the (X)HTML5 DocType Definition, the page’s language, character set, and a title. The above is default (X)HTML 5 version of starting HTML. Being a lazy kitten, I would be happy to include a few frameworks, one of which being Bootstrap. Before anything, please make sure you add the responsive viewport meta tag to enable the responsive behaviour of the app. As I said I am lazy, I would not download the files from the repository, instead get it from a CDN (Content Delivery Network). Saying so, let me include the CSS file alone (as we just need it for styling purposes only). I am using the Bootstrap 3 version. Being a UX centric cat, I would like to choose my own fonts. Open Sans will be for the body text while Montserrat be for the headings. 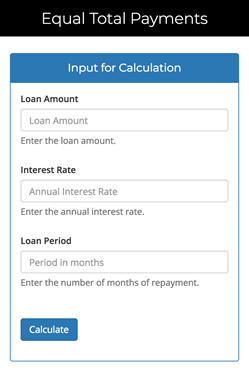 The Loan Amount will be the principal amount lent by the customer and rate of interest will be a numerical value of the percentage of the principal amount that will be accrued annually. 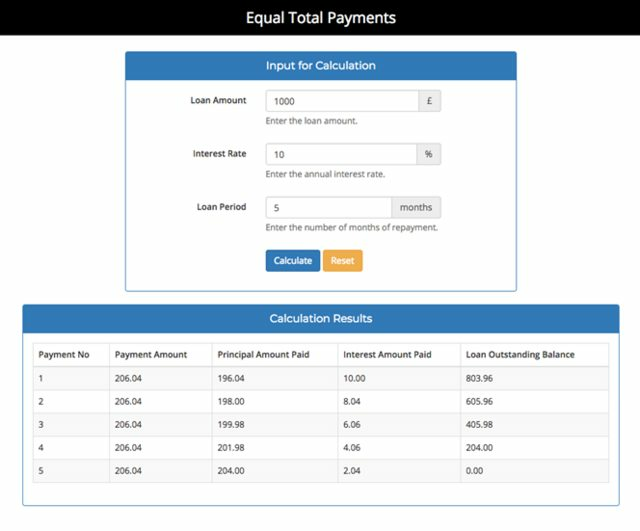 The Repayment Period is again an integral number (whole number). To get the above information from the user, we need to create a form. As I mentioned already, we’ll be using Bootstrap 3 to get kick started. I would really like to have a panel covering the whole form. Let’s start writing a panel code. The form’s method is HTTP POST. All the form elements should have unique ids. No need of action attribute, as we are POSTing to the same page. Let’s start with creating the above table. The first thing we need to do is to make it hide using server side, which we will do later. We should be creating another panel, but this time, the number of columns that’s going to be used will not be four but eight. The reason why I give count as 3 is that we are capturing three values from the user. The other problem I had was to deal with displaying the captured values again in the result screen, but shouldn’t be a problem (throw an error) when requesting the page for the first time. Here, I have used @$_POST because, the @ keyword suppresses the errors caused by the variable not set or present at the run time. When prepended to an expression in PHP, any error messages that might be generated by that expression will be ignored. PHP round - Returns the rounded value to specified precision (number of digits after the decimal point) and the value of precision can also be negative or zero (default). PHP pow - Exponential expression, returns base raised to the power of exp. The PHP function number_format will round off the number to the nearest specified number of decimals and returns the string of it. Note, the resultant will not be an integral value. After these two columns are filled, the next one we’ll be calculating is going to be the monthly Principal Amount that’s been paid every month. To calculate the above formula programmatically using PHP, we’ll be using the below expression. Note that we will also be rounding off to the nearest seven decimals for making sure we don’t go out of bounds. Finally, we’ll be calculating the Loan Outstanding Balance. This is simpler because this is going to be the interest amount divided by the rate of interest without the Principal Amount Paid. Getting all the above details, now let’s construct our row. // Get the input values. // The equated payment amount will be the same throughout of each period. Hope this was useful to everyone reading this. Back with another awesomeness. Until then, have a nice week!